In June, Nathan Thom contacted me to discuss about a website he was developing. 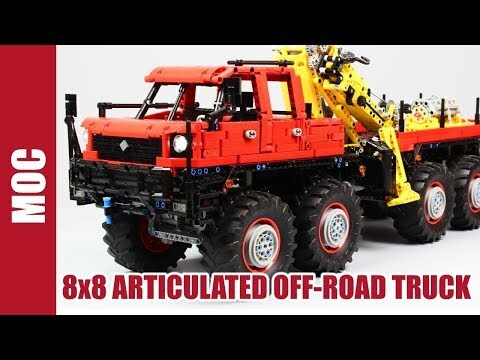 He asked me for using my moc on his website and asked for advices if I had some. Then I saw the website and I found that it had an incredible potential. 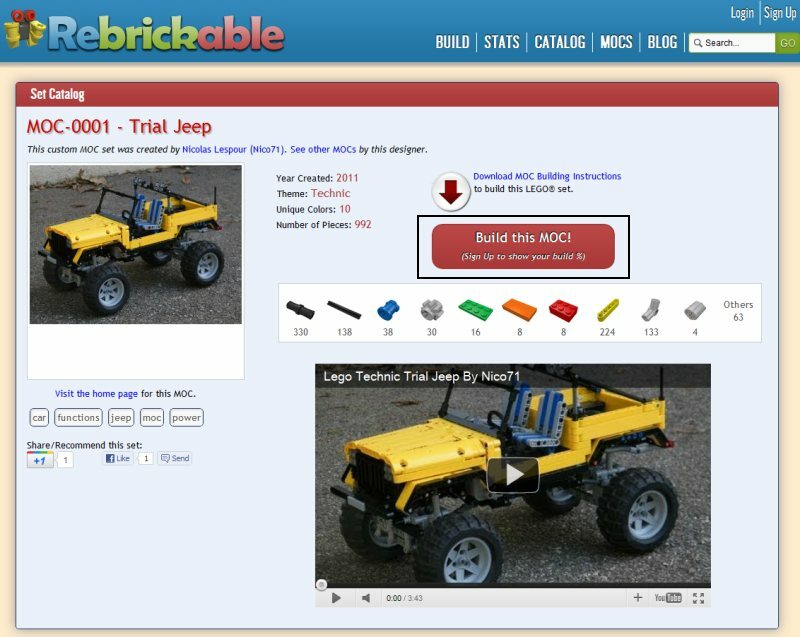 Rebrickable is a website which allows the user to match his collection of parts with the bill of material of a chosen moc. 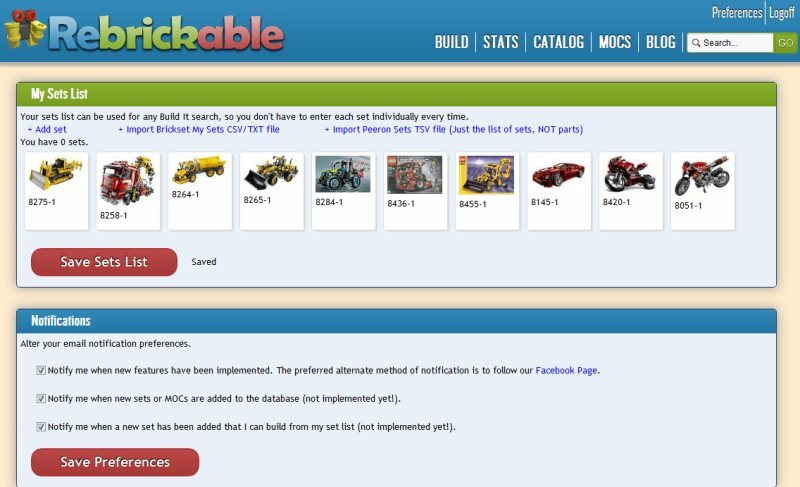 The builders can add their moc to the database of rebrickable, therefore users can match what they like. 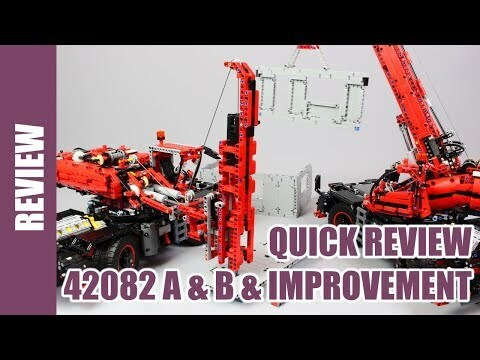 Brickstore can already do that so why rebrickable is better ? 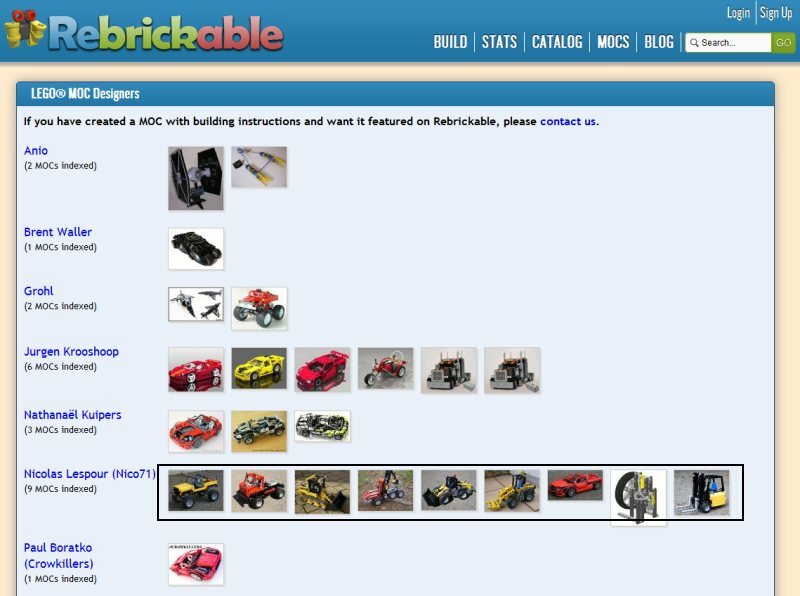 First of all, rebrickable is an online website which not requires installation or registration. 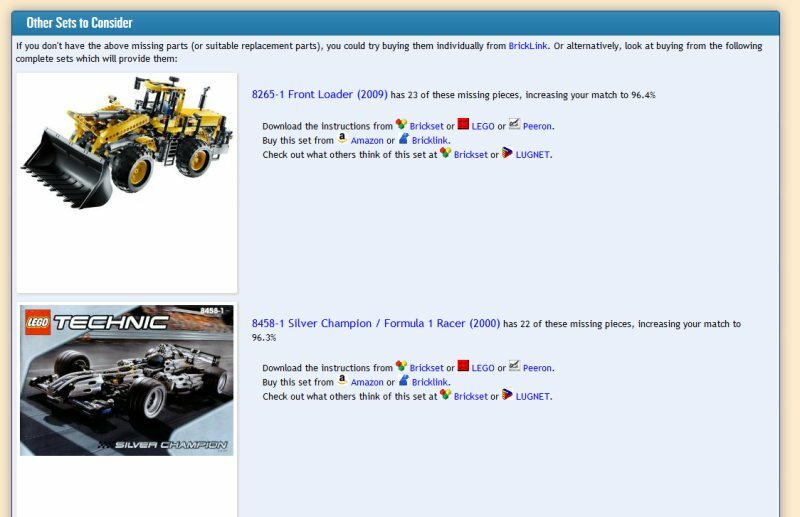 Secondly, the matching algorithm is really better than Brickstore. For instance : if a builder build his CAD model with old pins, then the user want to match with his collection of new sets : it will not work. Because old pins and new pins are not the same part. Despite they have the same function. The strength of Rebrickable is to manage this problem with closed parts, this is called Part Normalisation. Because it is the function which is important and not the part number. Nathan succeeded in managing this problem with listing closed part like pins, plate, cylinder, spring, U-join… and color scheme. I have entered some set I have to test the matching, then click on Find Sets To Build. I advise you to choose the Close Match. -This is the builder who creates the CAD file of the model (here is the jeep). So we can make mistakes which are prejudicial for the match. For instance a 8-stud length Axle Gray. This part in this color doesn’t exist so whatever the set you have, you will not have 100% matching. Pay attention to recheck the missing part. -Sometime, composed part are missing for the matching, for instance the shock-absorbers or the U-join. 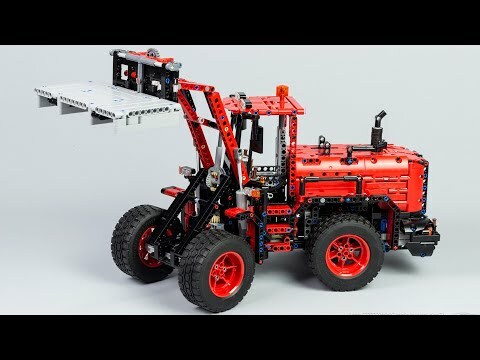 The fact is rebrickable compares the spring with the part in the set (here is the 8297) so the builder (again me) has to choose the correct part in CAD modeler. If not, the matching problem can occur. 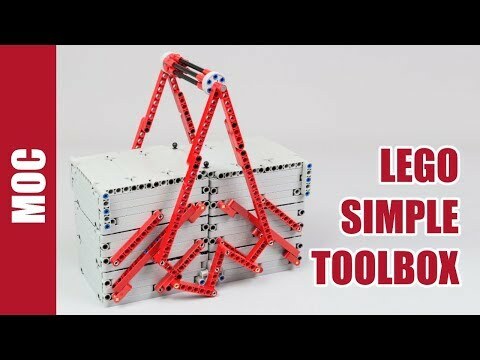 The problem for the builder is that in the Ldraw library, there are for instance 10 different part for the shock-absorbers (the same of course). I don’t know why but this is very annoying. Also, in the library of set on bricklink, it is not always the same part which is chosen in the database (regarding set, years and revision). I have informed Nathan of this problem in order to figure out. 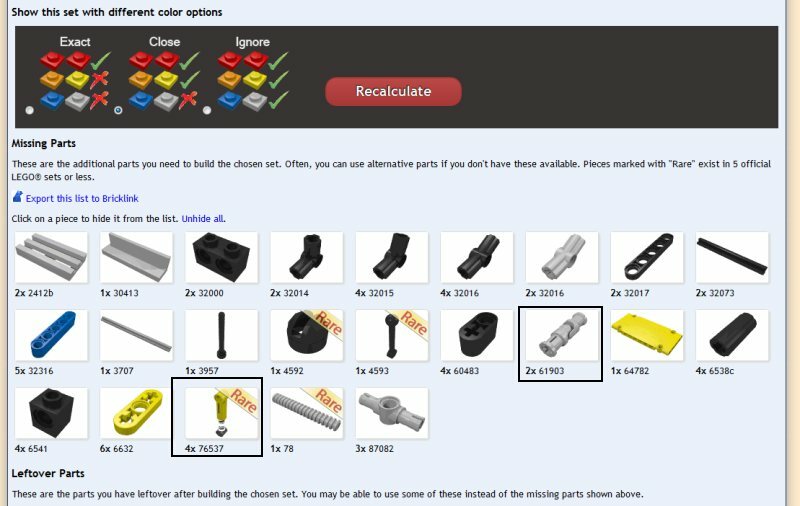 A list of advised part will be released to help builder to choose the correct parts. You can also try the “ignore match” which ignores the color. I recommend to create an account (for free of course) to enter and save your collection. With an account, you can enter more than 6 sets for matching. And your collection is always saved so it is more handy. 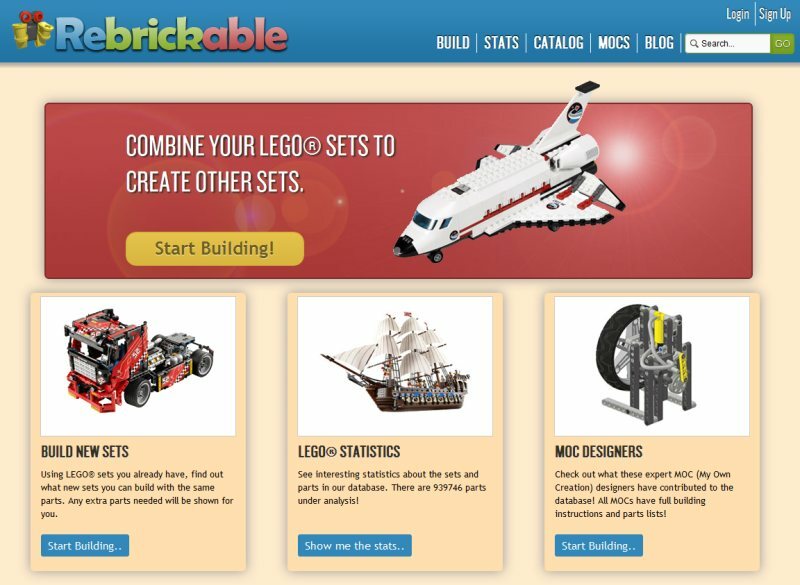 http://rebrickable.com/designer : Main page for moc and for contact Nathan. 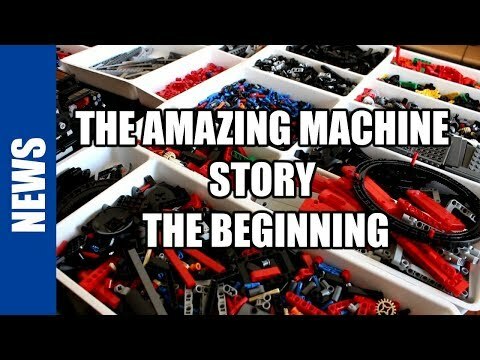 http://rebrickable.com/designer/nico71 : My rebricakble page, where all my digital moc has been indexed. I am from montreal and here is very hard to find such variety of pieces and briks. Could y tell-me where to buy it?